Together with our friends at Critchleys and Hedges Law, we’ve listened carefully to your budget announcement. We would like to respond by taking our original seven questions and seeing how your announcements today offer us answers. It’s great to hear that you are removing some of the administrative burden by abolishing annual self assessment tax returns. We're looking forward to hearing more about how a simple online process for declaring and calculating tax liabilities throughout the year will work. We were encouraged by the new loan scheme to make post graduate studies more attractive. 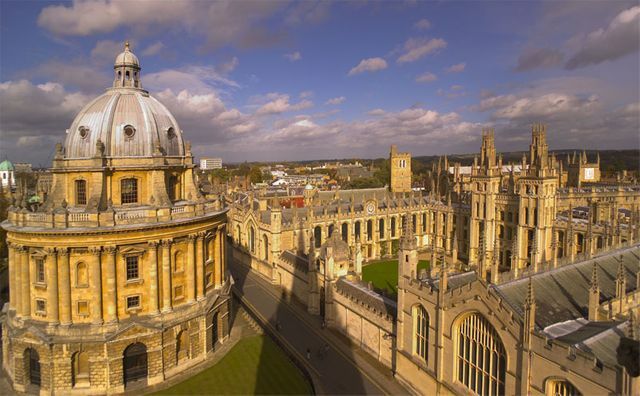 As a business in Oxfordshire, a centre for high tech start ups and development, the availability of a highly skilled labour force is really important. We also appreciate that as you say, apprenticeships have doubled and that we are bringing more young adults into employment. However, we didn’t hear any headlines about specific incentives or programmes to encourage skills development of those already in business or not involved in post graduate studies. You didn’t touch the funding behind the Growth Accelerator Scheme. We think this remains an important source of funding to help small and medium businesses develop the leadership, management and other strategic skills in their business. You also declared your intention to increase minimum wage levels to £8/hour, which is good news for lower paid workers. However, we think it is also important that you help us develop the skills of British workers and the productivity of British businesses to enable us to pay for this increase. You are going to freeze duty on fuel, which will help us keep both our transport costs and other costs impacted by the price of fuel a bit more under control. However, we would like you to be more innovative in helping reduce the cost of doing business in high potential but high cost areas like Oxfordshire. You have put a big focus on investment into high speed broadband and the mobile network to help foster development of ‘the internet of things’. We look forward to seeing 100mbps connection in “nearly all UK premises”. We encourage you to make sure this isn’t just about cities and larger towns. We believe rural and semi-rural communities can be great places to set up and develop smaller business, so wouldn’t want this to be hampered by the often poor connection speeds currently available. Having worked with our local UKTI representative and welcome encouragements to export to foreign markets. We look forward to more detail on your specific plans for trade in and with China specifically and Asia more generally. This is clearly important. We also would like to have more detail on infrastructure developments within the UK including increased house building and enterprise zones. We hope these will help create new markets and opportunities for small and medium business owners. You spoke about the importance of reducing tax avoidance which we applaud. However, we think you are missing an opportunity to encourage businesses to act more responsibly such that everyone - owners, staff, their dependants and the wider local community - benefit. We believe that truly responsible businesses will have a direct and positive impact on issues such as youth unemployment, welfare dependancy and community health. We encourage you to put more focus and funding into promoting a more integrated approach to the development and thriving of local communities where more local businesses are playing their part. We’ve seen mention of extending the Oxfordshire Science Vale enterprise zone and your intention to provide capacity funding to support Bicester’s ambition to become a garden town. We look forward to exploring how these and other budget commitments impact the many small and medium sized businesses in Oxfordshire. At face value, some of the focus points in this budget seem like a step in the right direction, taken in the context of real economic recovery. However, with an election looming and past experience to go by, we wait to see how many of these commitments are actually delivered to the benefit of the local business we serve, and onward to the people who benefit and depend on them.